THOMSON REUTERS Legal Business says the value of corporate fines for health and safety breaches increased 18% in the last year, hitting £57.3m in 2017 up from £48.5m in 2016, in an attempt to get health and safety on the agenda at board level. The value of the average health and safety fine rose 34% to £311,343 in 2017, up from £232,451 in 2016. The Sentencing Council introduced tougher guidelines for the fines in February 2016, focusing heavily on the level of management culpability for risk of, or actual, harm. Also taken into account are the profitability of the company in question, the potential impact of the fine on employees, and on the company’s ability to make restitution to victims. Thomson Reuters Legal Business says health and safety breaches can range from an isolated, minor failure to comply with proper processes, to a company deliberately disregarding the law or ignoring concerns raised by employees about dangerous working practices. Thomson Reuters Legal Business says that fines are being increased as part of efforts to get health and safety recognised as an issue to be dealt with at board level. Head of business crime and investigations at Thomson Reuters Practical Law Morag Rea said, “Fines for health and safety breaches continue to rise considerably, as companies are held increasingly accountable for failing to adhere to standards. 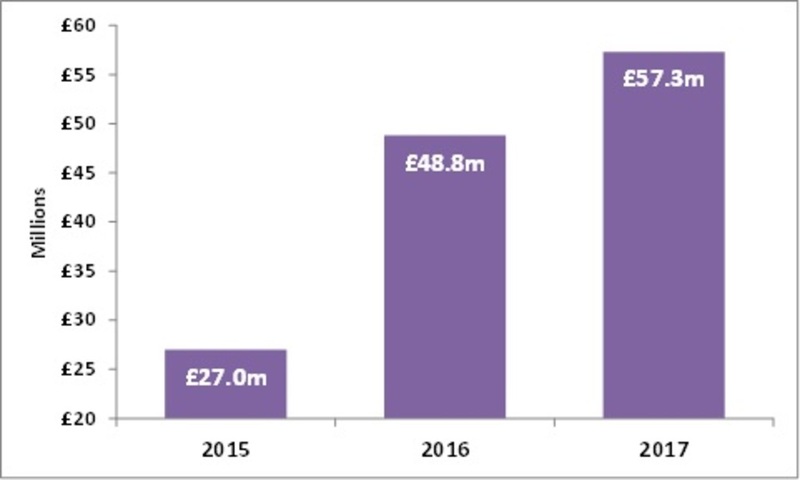 GRAPH: The number of fines relating to health and safety breaches has increased 18% in the last year, as health and safety remains a threat to businesses.